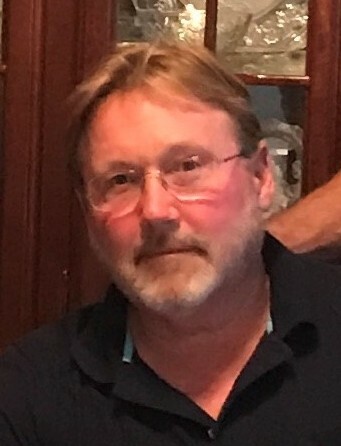 William “Bill” Carnright, 58, of Hixson, Tennessee, passed away on August 5, 2018 surrounded by his loving family. He was preceded in death by his grandparents, Malcom and Mazie Tait, father, Richard Carnright, Sr. and brother, Richard Carnright, Jr.
Bill is survived by his wife, Jennifer, children, Paul Carnright, Ashley (Brian) Morgan, grandson, Chase Wilson, mother, Jean Carnright, sisters, Mary (Bill) Fletcher, Shelley McAlister, in-law’s Bob and Edna McGavock, Bob (Jackie) McGavock and numerous nieces and nephews. Bill was a successful business owner of Irrigation Services for over 20 years; his business clients went just customers, they were friends. His reliability and skills were the reason for his business success. Special thanks to the Crisis Care Team of Hospice of Chattanooga and a special heartfelt thank you to Teresa, Jeannie, Elizabeth, Estella and Amy for your incredible compassion and care. The family will receive guests for a celebration of life at Bill and Jennifer’s home on Saturday, August 11 from 2:00 to 7:00 p.m.